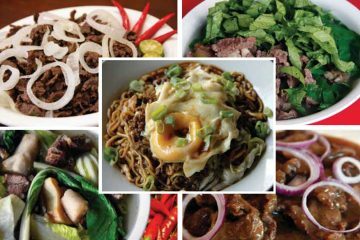 There’s no dooubt that ‘carabeef’ or carabao meat, has become popular with the public because it is healthy and delicious. Studies show that carabeef is 10% lower in fat, 40% lower in cholesterol, 55% lower in calories, 11% higher in protein, and 10% higher in minerals as compared to traditional beef from cattle. The taste is comparable to cattle meat, the studies add, and carabeef is cheaper on the market; thus, more restaurants across the country use it. There are also various ways to prepare carabeef dishes. It is always good to know what takes place in slaughterhouses. 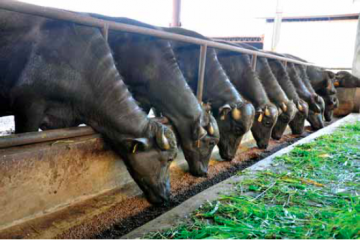 What is the correct slaughtering procedure for carabao, given the increase (209,307 head of carabao slaughtered in 2013 and 217,342 in 2014, representing an increase of 4%, according to the website of the Philippine Statistics Authority or PSA) in the number of slaughtered carabao? 7. Hanging the meat quarter on the rail. Under the auspices of the FAO, the National Meat Inspection Service (NMIS) requires that the animals be slaughtered in a hygienic way. 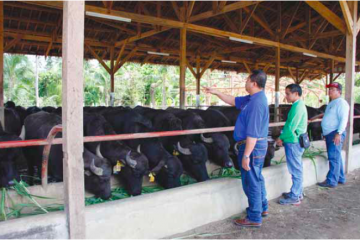 The NMIS, an agency under the Department of Agriculture (DA), implements the guidelines and policies on the proper handling, and inspection, processing, storage, and preservation of meat and meat byproducts. “AAA” or abattoirs that are qualified to export produced meat; “AA” which are establishments qualified for domestic trade; and “A” which can only trade its products within its particular municipality or city. It was noted in a study by Maranan, et al though that most of the slaughterhouses in the Philippines lack the updated equipment and facilities necessary in the performance of an optimum and hygienic slaughter process. Despite this, the slaughtering of the animal continues because of the demand for carabeef. 1. 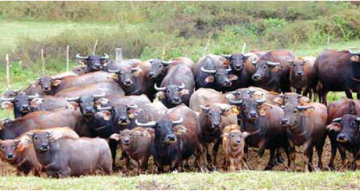 Prior to the slaughtering of the animal, meat dealers are required to submit the following: permit to slaughter; proof of ownership of the carabao; certificate of transfer; transport permit; and veterinary permit, among others. 2. An ante-mortem examination is conducted to determine if the animal is healthy and to check whether it is stressed or has discharges. 3. The carabaos are confined for 24 hours before slaughtering. 4. The animals are bathed before the actual slaughtering procedure. 1. 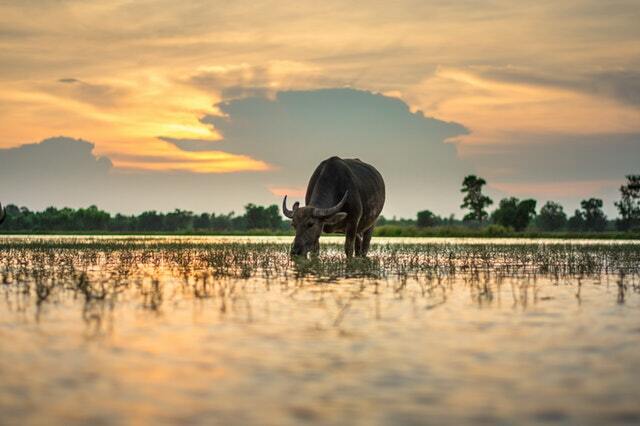 The slaughterhouses have different ways of stunning the carabao to render it unconscious. In some slaughterhouses, such as those in Mangaldan, Pangasinan; Lal-lo and Tuguegarao, Cagayan Valley; Infanta, Quezon; and Iloilo City, stunning is done with the use of a captive bolt pistol. But in Virac, Catanduanes and Abuyog, Leyte, stunning is still done the traditional way: with the use of an axe and knife. Authorities said the use of axe and knife are not recommended in the proper slaughter procedure. 2. The aforementioned slaughterhouses—save for the one in Lallo, Cagayan—do not hang the carabao meat before cutting it into pieces, as they do not have a line rail. 3. Most of the slaughterhouses skin the carabaos and cut meat parts on the floor, a practice that is not recommended in correct slaughtering procedures. 4. All of these slaughterhouses have different age limits when it comes to animals to be slaughtered. There is the “seven-eleven policy” in which only male carabaos at least seven years of age and females eleven years old may be slaughtered. There is also the “nine-eleven policy,” similar to the seven-eleven policy except the males need to be at least nine years of age. Still others allow the slaughter of carabaos which are as young as two or three years old, or have no age limit policy at all. 5. 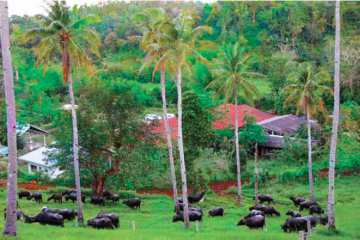 Some of the slaughterhouses slaughter carabaos twice a day while others do so only once daily. The time of slaughtering varies from 2:00 a.m., 3-7 a.m., 12 noon, and even at 7 in the evening. 7. Meat dealers pay varying slaughter fees depending on the weight of the carabaos. 8. The number of slaughtered carabao increases when there are special occasions such as fiestas and other gatherings near where these slaughterhouses are situated. 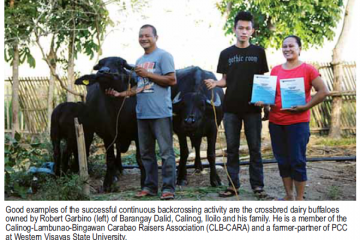 However, inLal-lo, Cagayan, it was noted that the number of carabaos being slaughtered rises when the farmers need money for the education of their children (especially during pre-harvest time). (Author’s note: The statistics contained in this article were the results of interviews of persons involved in the slaughtering of carabaos in their respective areas, including Veronica P. Hunatas, slaughter master III from Mangaldan, Pangasinan; Hilario M. Los Baños, meat inspector and meat supervisor from Lal-lo, Cagayan Valley; Dr. Pastor C. Tumaliuan, city veterinarian in Tuguegarao City; Remegio C. Japon, meat inspector in Abuyog, Leyte; Gerardo P. Romero, meat inspector from Virac, Catanduanes; and Romero Bartolome, meat inspector from Infanta, Quezon.